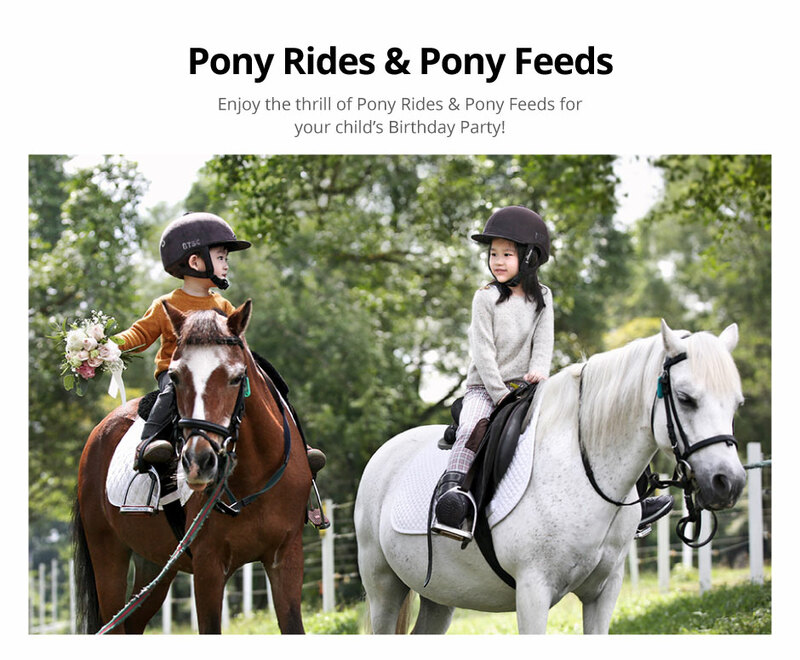 The best Children's Birthday Package in town! Experience our Mini Golf and Pony Rides with other activities like Driving Range/Golf Course, Face Painting, Interactive Magic Shows, Glitter Tattoo and Balloon Sculpting; plus selections of Premium Food & Beverage packages from Royal Thai and Picotin Restaurants. For party tables reservations, please contact:[email protected] M: (+65) 9125 2994, and [email protected] T: (+65) 6877 1191.